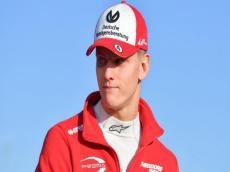 Mick Schumacher, son of legendary Formula 1 driver Michael Schumacher, has reportedly inked a deal with Ferrari to join its talent program, the Ferrari Driver Academy, which aims to develop drivers worthy of driving for its prestigious F1 team, according to The Drive. Notable alumni of the Ferrari Driver Academy include F1 podium finishers Sergio Perez and Lance Stroll, both of whom will drive for Racing Point F1 in 2019. Jules Bianchi was a member of the program before his ultimately fatal crash in 2014, as was his godson Charles Leclerc, who was promoted the Scuderia before the end of 2018. This year`s Alfa Romeo Sauber driver Antonio Giovinazzi, returning after two Grands Prix with the team in early 2017, is also a member of the Academy.